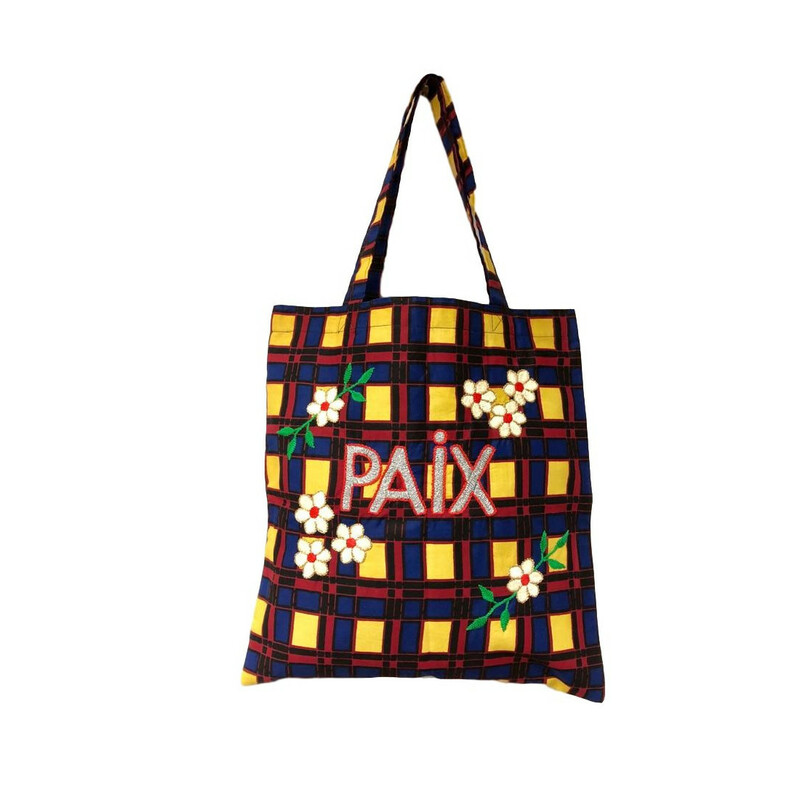 Tote bag very practical for every day, large inside pocket, it appeals to all ages. 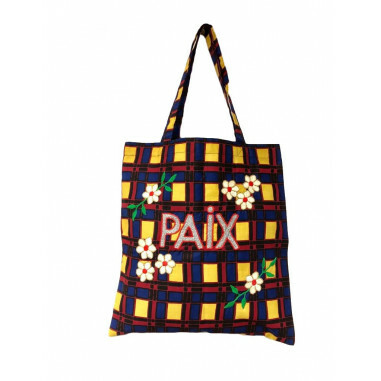 embroidered by hand on the island of Gorée in Senegal. 100% cotton wax fabric.